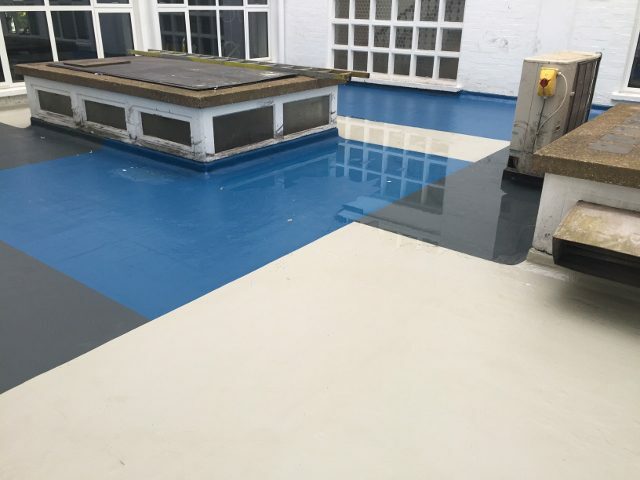 WestWood’s Wecryl 230 waterproofing was combined with an additional Wecryl 288 coloured sealer coat. The Wecryl waterproofing was easily and quickly applied to the existing felt membrane. The liquid waterproofing could easily be installed around any awkward detailing or up-stands. As the products can be self-terminated, no chases or unsightly termination bars were required. The additional layer of Wecryl 288 created the different coloured finish. This product can be mixed to most RAL colours to provide great design options.